I have always loved the beginning of the school year. It is a time filled with excitement, and new beginnings. 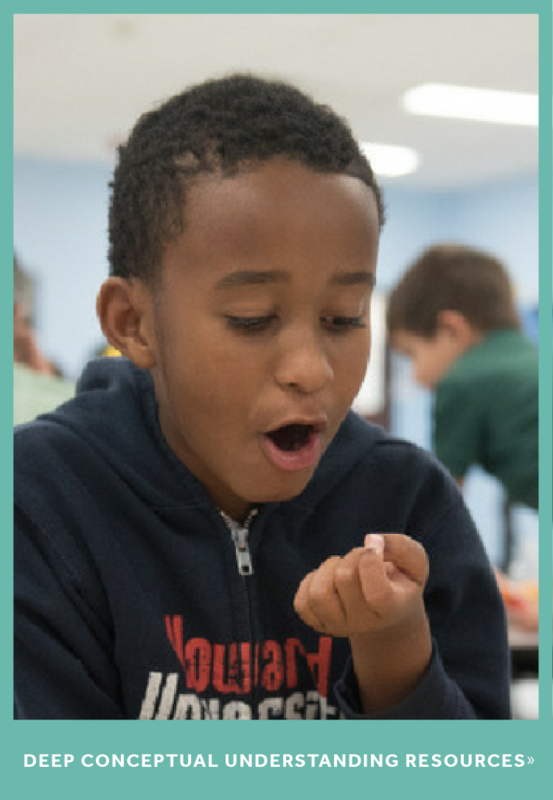 It is also a great opportunity to establish a strong school culture that engages and excites students about mathematics. While on the surface, school culture seems like a purely non-academic factor, it can strongly influence students’ academic achievement. Through the Every Student Succeeds Act (ESSA), non-academic factors are now being included in statewide accountability plans. While assessments tend to be the focus when student’s academic performance is discussed; the inclusion of the non-academic factors, specifically school culture, highlights the importance of an engaging learning environment. Being intentional and strategic in designing school culture positions students for greater academic success. The visual environment of your classroom and schools are great places to start. How could you use bulletin boards and hallway displays to establish a school culture that embraces math? Schools all around the country who use ST Math, a game-based visual and instructional software program, are using bulletin boards to celebrate student growth and success in mathematics. Bulletin boards are great ways to show student progress and at the same time they can be great tools to get your students thinking and communicating their learning. Check out these great bulletin boards from various schools with ideas on how to add interactive elements that engage students in math in ways that are approachable, exciting and meaningful! 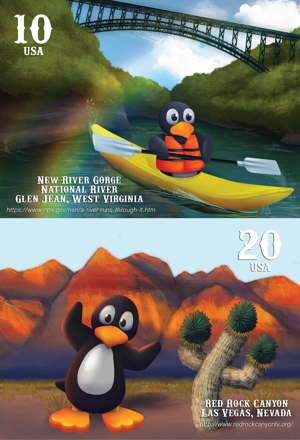 In this example, students created penguin avatars that they move from postcard to postcard as they make progress. Each postcard represents 10% progress. 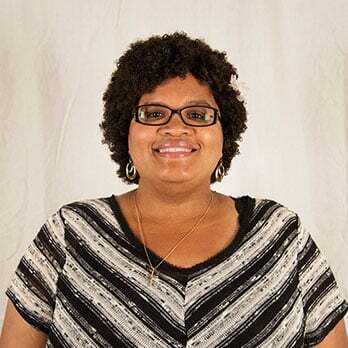 Ideas to make it interactive: As students move to a new postcard ask them to research postcard locations and create math problems based on the information. The math problems don’t need to be traditional, but can be things they would like to explore (e.g., the distance between two places, the shape of the structures in the location, etc.). Students’ names are written on airplanes that travel to the postcard's destination as they make progress in ST Math. Ideas to make it interactive: As students reach a new destination, have them write a “flight plan” to share areas they were stuck on and how they were able to learn from their mistake and solve the problem. 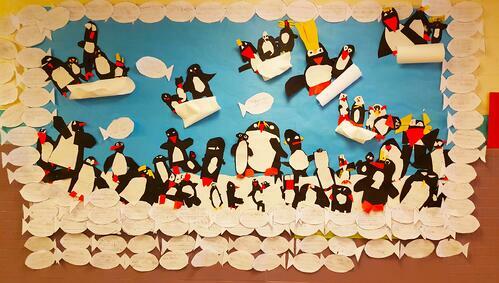 In this example, students made their own penguins and shared facts they learned about penguins. 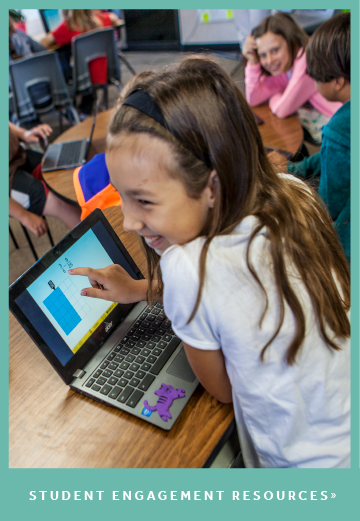 Ideas to make it interactive: Students can share strategies they are using to solve puzzles or explain the math they are learning with JiJi. They can post these on the bulletin board beside their penguin. Want more bulletin board ideas? Visit our board on Pinterest, and remember to think about how you can promote school culture through your visual environment. 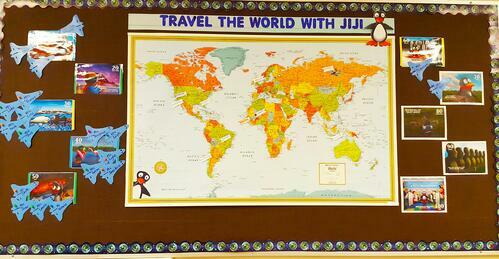 ST Math teachers can download the JiJi postcards on the Teacher Resource Site and create their own bulletin board! Share your bulletin boards and your own ideas on how you are using your visual environment to excite and engage students in mathematics. Post on Twitter and tag @JiJiMath and #JiJiBeliever. Post on Pinterest using the hashtag #JiJiBeliever. Looking forward to sharing your ideas!